England host Canada in a World Cup warm up friendly on Friday, with both nations looking to test themselves and carefully tweak preparations for the eagerly anticipated tournament in France this coming summer. Check out 90min's preview below. BBC will also be showing all of England's three further World Cup warm up friendlies. Chelsea forward Fran Kirby has ​pulled out of the England squad over a knee concern, with the decision taken to manage her fitness and protect a key player ahead of the World Cup. Millie Bright, Jade Moore and Jill Scott have returned to the England squad after fitness worries caused them to miss out on the SheBelieves Cup victory last month. 203-cap veteran Diana Matheson is a notable omission from the Canada squad, having been part of the group for the Algarve Cup earlier this year. England and Canada haven't faced each other since 2015, but they played as many as three times that year, twice competitively and once in a friendly. The most recent of those encounters saw England knock the Canadians out of their own World Cup at the quarter final stage four in June 2015. Jodie Taylor and Lucy Bronze, both of whom remain in the Lionesses squad, scored in the win to cancel out Canadian icon Christine Sinclair. 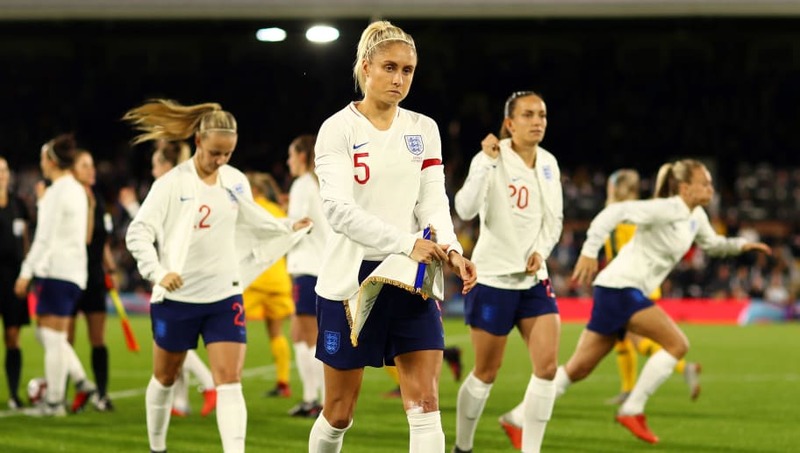 After an unbeaten start to 2019 which saw them beat Brazil and Japan and draw with the United States to win the SheBelieves Cup, England rose to third in the latest FIFA World Rankings. England had finished 2018 with a disappointing friendly defeat to Sweden, but were unbeaten in World Cup qualifying and dropped just two points to secure a place in France. Canada, meanwhile, stayed fifth in the latest FIFA World Rankings after finishing third at the 2019 edition of the Algarve Cup, beating Sweden on penalties to do so. Much like England, they too are unbeaten this year, while their only losses since the start of 2018 have come against France, Germany and the United States. England have an enviable blend of youth and experience in the squad. Beth Mead and Nikita Parris of ​Arsenal and ​Manchester City respectively will be looking to add to their blossoming international goal tallies, while City pair Keira Walsh and Georgia Stanway represent the future in midfield. Captain Steph Houghton will lead from the back, while Lucy Bronze remains a standout name as a nominee for the inaugural Women's Ballon d'Or in 2018. For Canada, goalkeeper Erin McLeod and midfielders Sophie Schmidt and Desiree Scott are all incredibly experienced at this level, while the legendary Christine Sinclair (below) has 179 goals in 278 appearances and will be the obvious threat to England, despite her advancing years. Also look out for 23-year-old Lyon defender Kadeisha Buchanan, the breakout star of the 2015 World Cup, as well as forwards Janine Beckie and Adriana Leon, who play their club football in England for Manchester City and West Ham respectively. Form, ranking and home advantage all point to an England win in this one, with the Lionesses showing already in 2019 they are capable of scoring goals against the world's best teams. Canada are dangerous and aren't to be underestimated. will provide an important test for England, but Phil Neville's team should have too much quality.